Cute as a button! 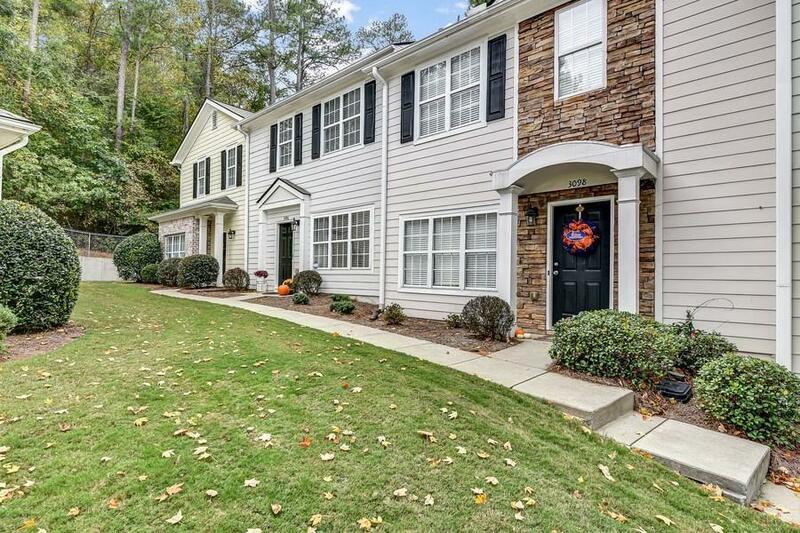 Small gated community in fantastic close-in Alpharetta location w/good access to downtown Alpharetta, Avalon, & Milton; gorgeous kitchen renovation in 2016: granite countertops, custom backsplash, new appliances...looks great! New HVAC; roof only 4 years old; townhouse floorplan w/condominium ownership convenience...best of both worlds. Nice back patio is ideal for relaxing. Electric fireplace insert w/blower. Literally 1.2 miles to downwtown Alpharetta...what a deal for under $200,000! Directions: Ga-400 To Exit 10 Old Milton Parkway W Towards Alpharetta. Pass Main Street, R On Wills Rd, Left On Mid-Broadwell (Now Be Milton Ave), L On Steeplechase Dr, To End To Gate. Go Through Gate, 3096 Is In Back Left Corner Of The Circle.